SWITCH. | Film review: The Brand New Testament - What if God was one of us? Did you ever play the hugely popular video game 'The Sims'? Or the lesser-known but equally as fun 'Black and White'? As a child these were some of my favourite games, even prompting an email address that followed (brentisgod@hotmail.com), but in these games you basically played god to a tribe or family of sims. It says something about these games and our nature that it was always easier being a malevolent god, trapping your sim in a room they were unable to escape, or sacrificing your tribesmen for more magic points. So who is to say god isn’t just like us, playing a video game, but it’s our lives that are the subjects? God is real, and lives in an apartment in Brussels. He lives with his wife, who is to afraid to speak to him, and his daughter Ea, who is over his horrible ways. His son has absconded and God is unable to find him. God manipulates humanity through his computer (which he doesn’t allow any of the other family members to access). Sick of his horrible attitude, Ea decides to follow in the footsteps of her big brother JC and head to earth to gather disciples and write the Brand New Testament. This is a wickedly dark take on the god complex movies. God is portrayed in such a horrible and human way that it's hard not to believe we weren’t “created in his image.” Benoît Poelvoorde plays the perfect part as a bored and disgruntled middle-age man, messing with people for fun. The film is divided into fantastic sections, or gospels, of average everyday people, and to be honest these are all so much more compelling than the same story told by different people. As each gospel finishes, we notice the new disciple added to the famous Last Supper by Da Vinci. What is so human about this film is the way both God and Ea are treated in the human world; of course no one is going to believe a disheveled man eating from a trash can! Of course no one is going to believe that a ten-year-old girl is the daughter of God! It’s so fun and contradictory and its just one of my favourite types of movies - what if “blank” was just like us, or did this stupid thing. No doubt it will probably have the deeply religious a little bit upset, but for the rest of us it paints a pretty funny picture of what we think god could be like – wars, poverty, even minor annoyances are all his fault! This is a wickedly dark take on the god complex movies. A black comedy for the atheists at heart, 'The Brand New Testament' is a part of the bible you will definitely want to read. Engaging, thought-provoking and wicked, it’s one not to miss at this year's Alliance Française French Film Festival! 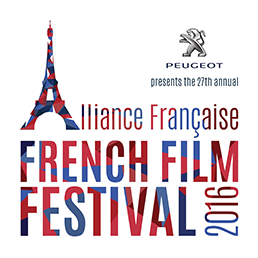 The 'Alliance Française French Film Festival 2016' competition has now closed. Winners will be announced shortly. Competition opens at 6pm AEDT on Wednesday 24th February 2016 and closes at 11:59pm AEDT on Tuesday 1st March 2016. Ten winners will be chosen at random on Wednesday 2nd March 2016. To successfully win, entrants must fulfil the above entry conditions before the time the competition closes. Current members/followers are eligible to enter the competition. Only one entry per person. Only one winner per household. To be a valid winner, the entrant must not have won a prize from SWITCH within the last 28 days. Each winner will receive one double pass to the Alliance Française French Film Festival 2016. By entering, you agree to receive occasional emails from SWITCH in the future. If you decide to unsubscribe from these updates, any further entries will not be applicable. Only Australian residents are eligible to enter.